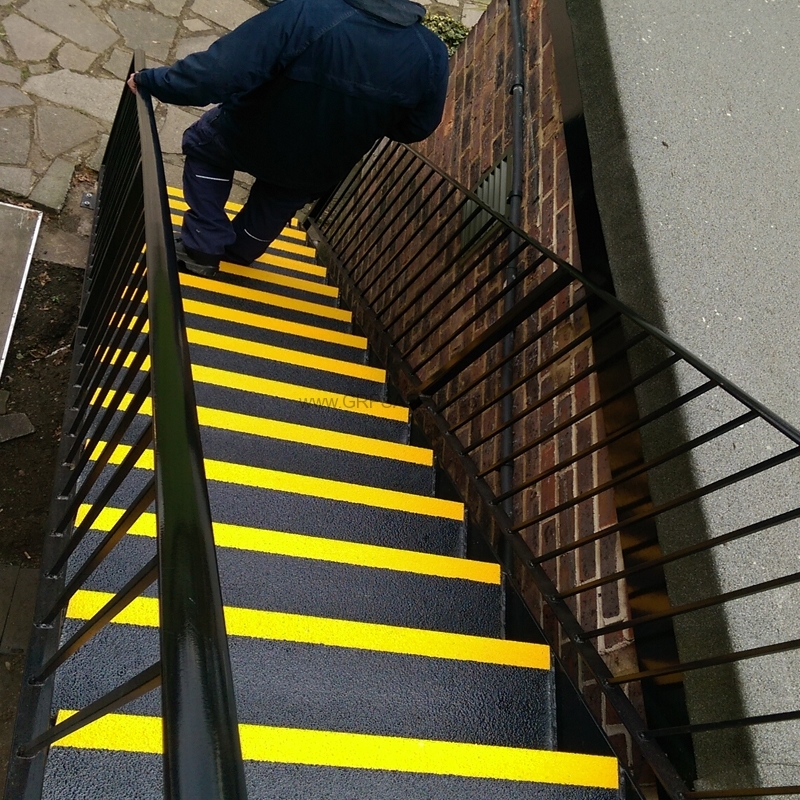 Simply clads over the existing surface with ease to create a new walking surface. 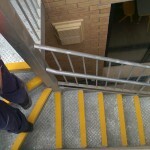 With the addition of the anti slip flooring sheets, fire escape landings and walkways can also be fully covered. 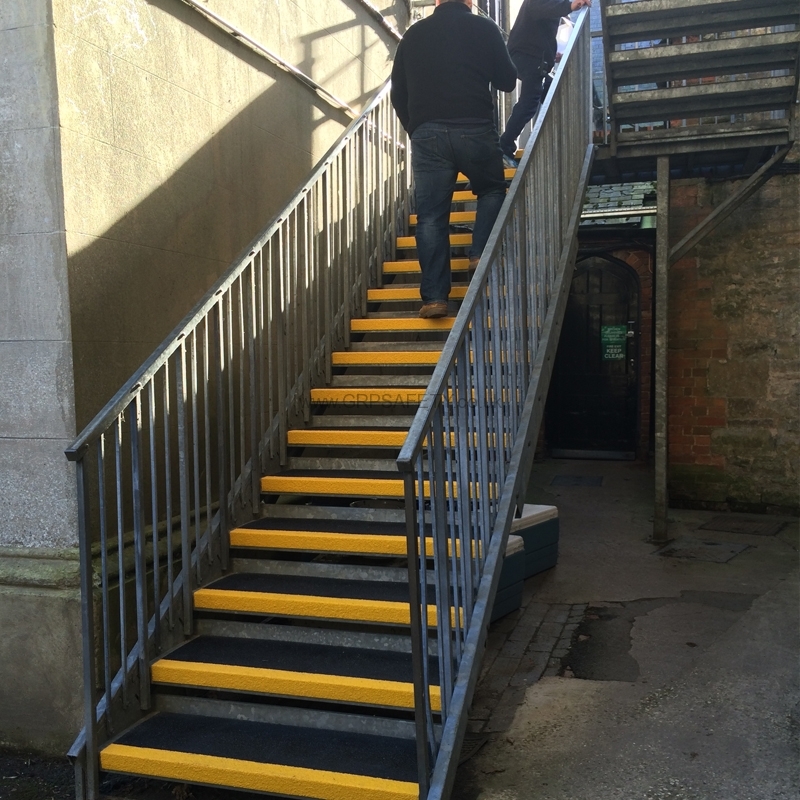 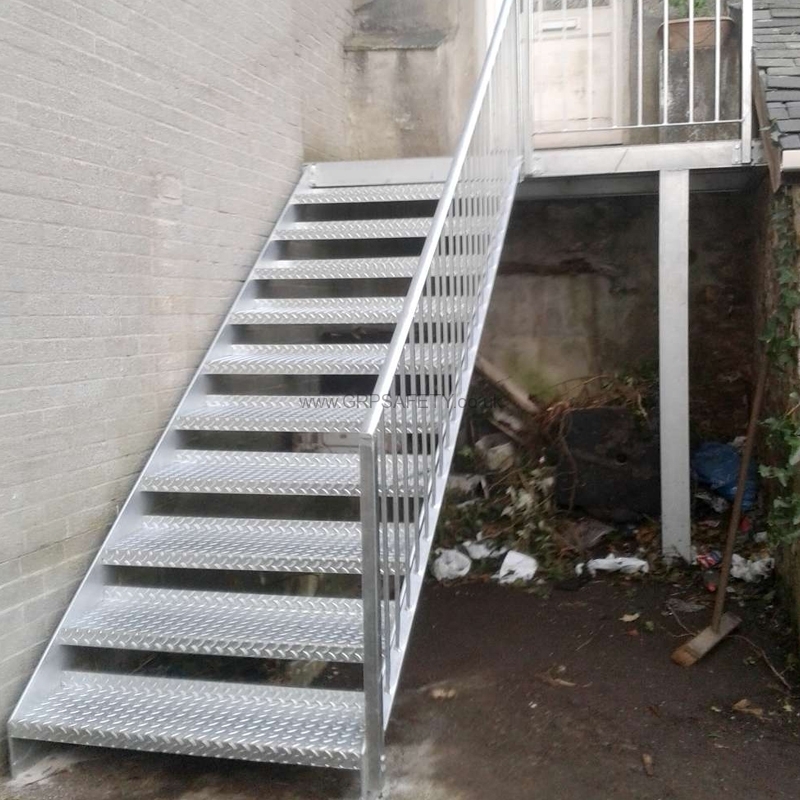 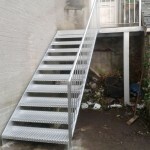 Can be installed over steel, steel checker plate, open mesh stair treads, wood, concrete and tiled surfaces. 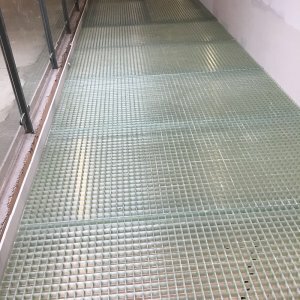 Stair Tread Covers can be cut to exactly fit your stairs on the width and the depth (going) and Stair Nosings cut to width. 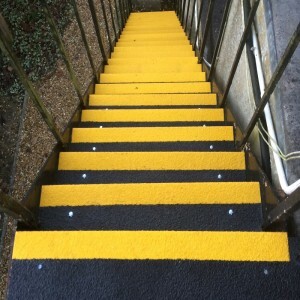 Fast installation, average set of 20 steps can be completed in 1 hour for GRP Stair Tread Covers and 30 minutes for nosings. 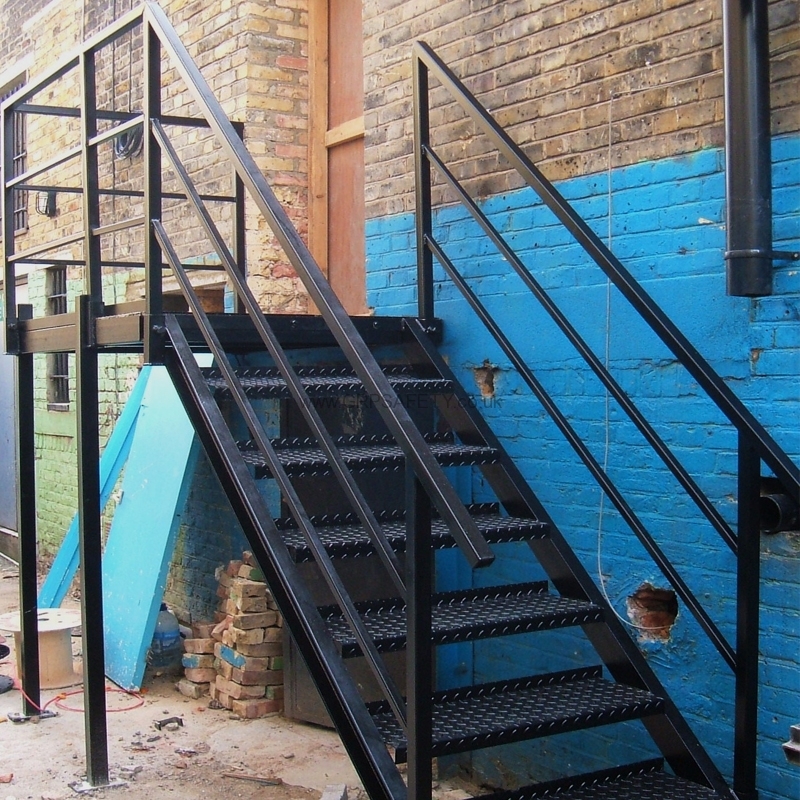 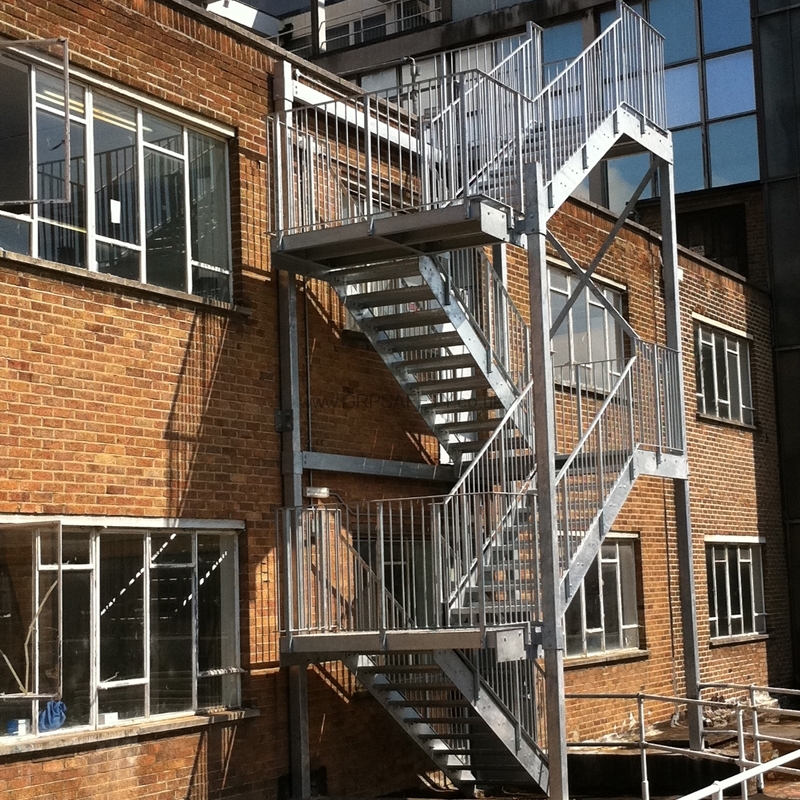 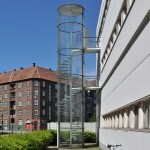 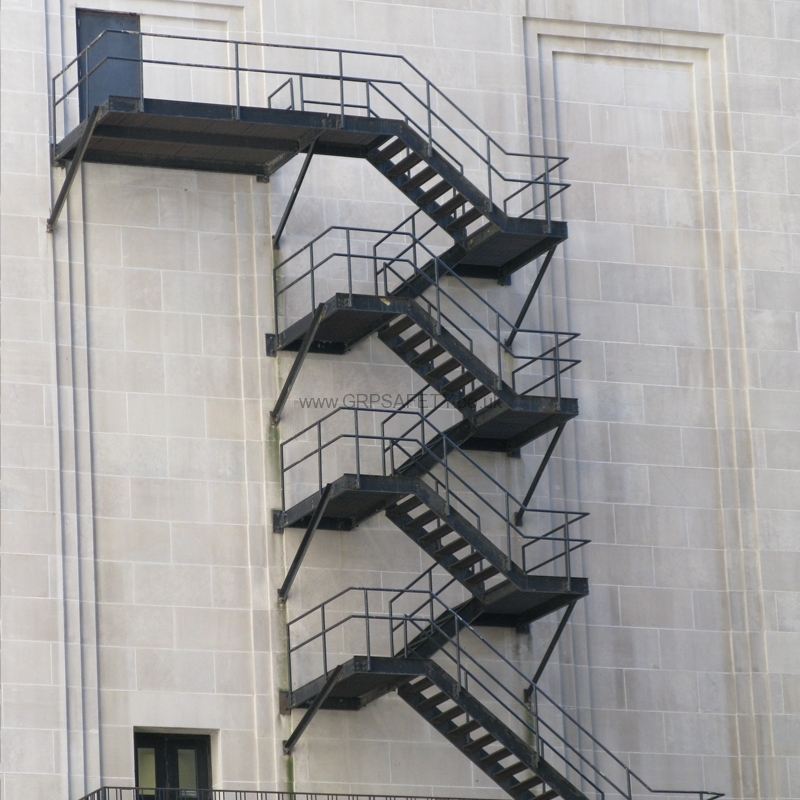 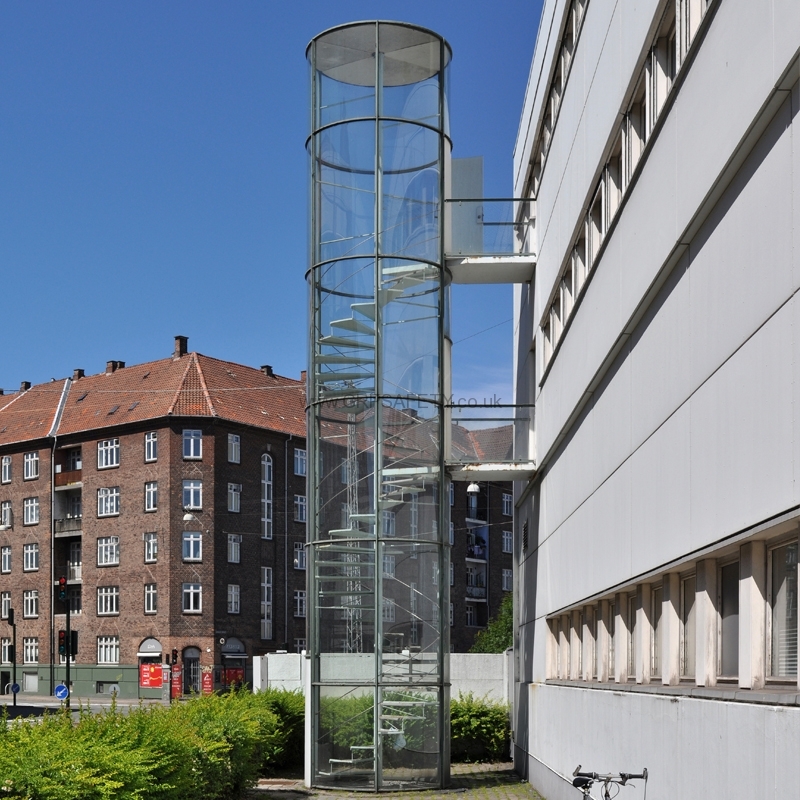 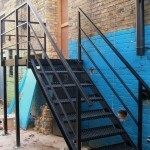 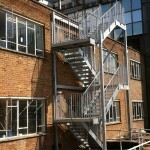 Below are some examples of typical fire escape staircases. 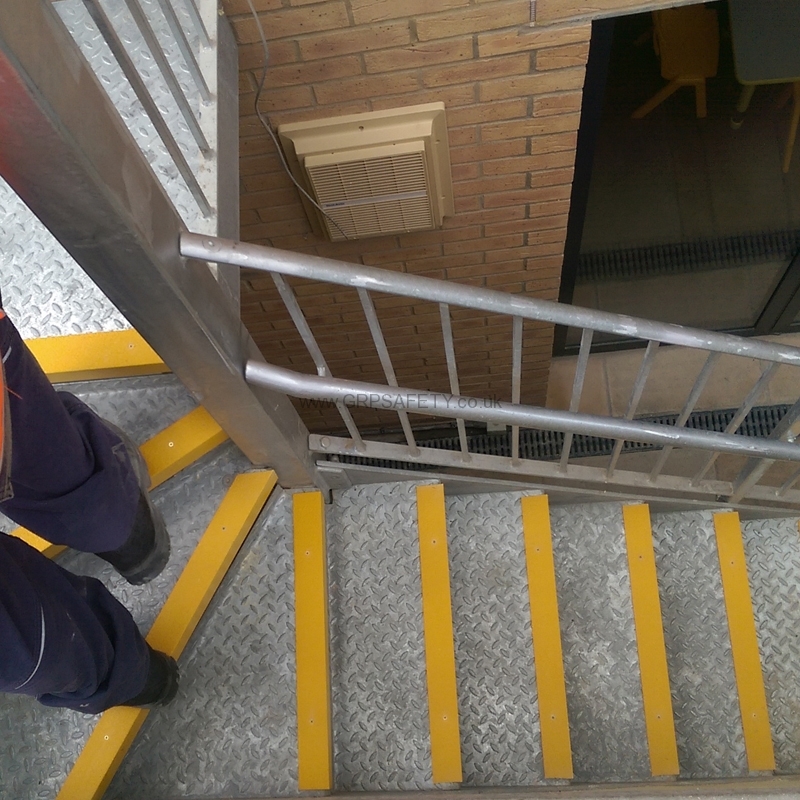 As there is no anti slip surface or contrasting nosings, these type of staircases can be dangerous during a fire escape procedure. 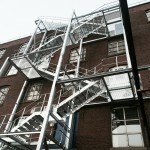 If you have staircases like the ones shown or similar gives us a call and we can try and help to find a solution. 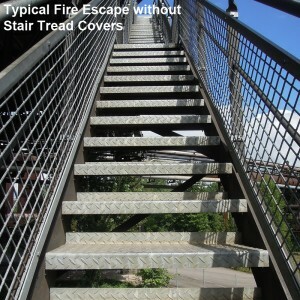 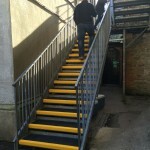 By fitting either GRP Stair Tread Covers or GRP Stair Nosings, your fire escape staircase will be instantly transformed. 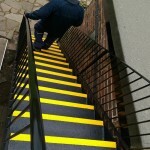 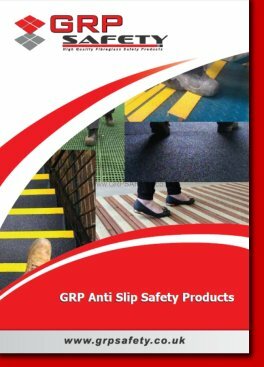 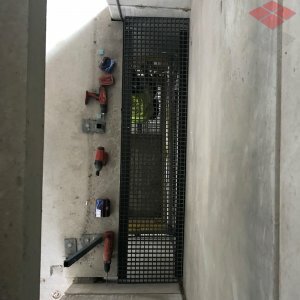 In addition, by fitting these anti slip solutions to your fire escape staircase they can potentially help during any Health & Safety audits aswell as of course increasing staff and members of the public safety.